LEARNING AND TEACHING TECHNIQUES ARE CONTINIOUSLY CHANGING AND EVOLVING AND SO IS ARCHITECTURE. TECHNOLOGIES ARE BEEN ADAPTED TO LEARNING SPACES, BUT THERE’S MORE TO DO IN ORDER TO OFFER AN INTEGRATED EXPERIENCE. 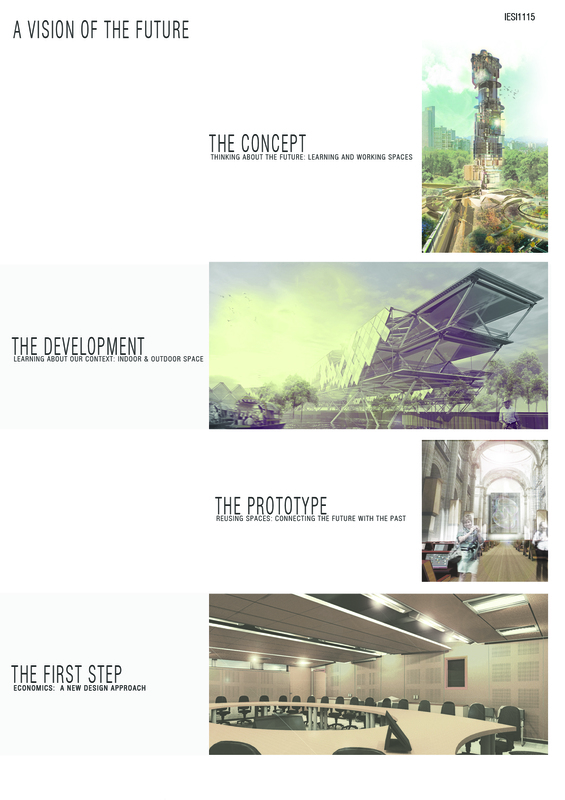 THE CURRENT STORYBOARD SHOWS LEARNING SPACES PROJECTS, ALL OF THEM WITH DIFFERENT DESIGN APPROACHES, BUT WITH THE SAME VISION OF THE FUTURE. 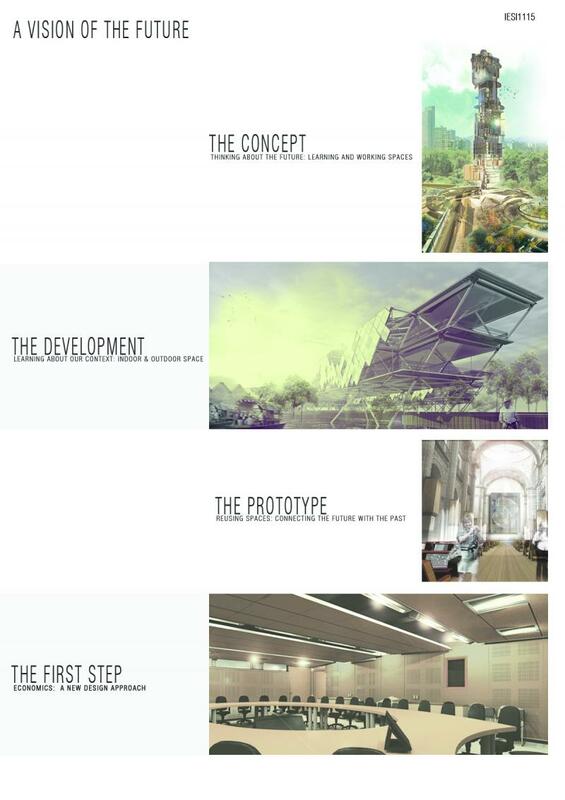 PROJECTS ARE ORGANIZED FROM A CONCEPTUAL SCALE LOCATED IN A LONG TERM FUTURE TO A SHORT TERM FUTURE PROJECT; THAT WAY WE CAN TELL THAT LEARNING SPACES INVOLVE SEVERAL SCALES AND DIFFERENT SOLUTIONS ACCORDING TO THE SPECIFIC NEEDS OF THE COMMUNITY.